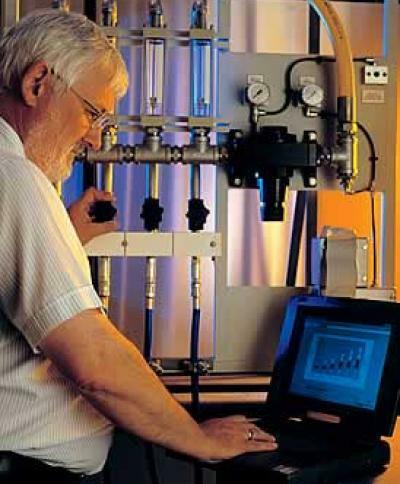 Factair's design and manufacturing team offers the total solution for your pneumatic control requirements. A range of systems is available including electro-pneumatic, combined pneumatic/hydraulic and fully integrated PLC managed systems. In addition for hazardous atmospheres fully pneumatic Atex compliant systems can be produced. Factair has a proven track record in the design and manufacture of special purpose machinery. Using compressed air and electronic or pneumatic logic, machinery can be produced for an incredible range of applications. Many factories and sites have existing equipment and systems that has provided a good service for a number of years. It often proves more economically attractive to upgrade this to modern standards as opposed to the full capital cost for a complete replacement. Factair has considerable experience in evaluating existing systems and re-designing them to modern standards, incorporating upgrades and improvements to meet current and future needs.